Mr. Gilles Dionne, president of the legal entities encompassed by Groupe Beldex, has dedicated his professional life to the real estate field. He held a strategic position with a private real estate company for more than ten years. 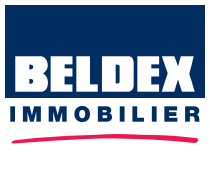 In 1987, Mr. Dionne started the Beldex Construction Company. Benefiting from his success and expertise, he started the Beldex Real Estate and Beldex Consultant corporations in 1996 and 2002 respectively. Mr. Dionne earned a bachelor's degree in finance from the School of High Commercial Studies of the University of Montreal; he holds a real estate certificate from the University of Quebec in Montreal, is a chartered member of the order of chartered appraisers of Quebec and is a chartered real estate agent. Mr. Dionne is also a founding member and president of the Association Cycliste en Développement d'Affaires (ACDA). The ACDA brings together more than a hundred professionals from the real estate and financial institution fields that share a new avenue for business development via a common passion: cycling. For more information on this association, please visit our website : www.acdaquebec.com.